All eyes should be on our new Customer of the Week: Lillian! 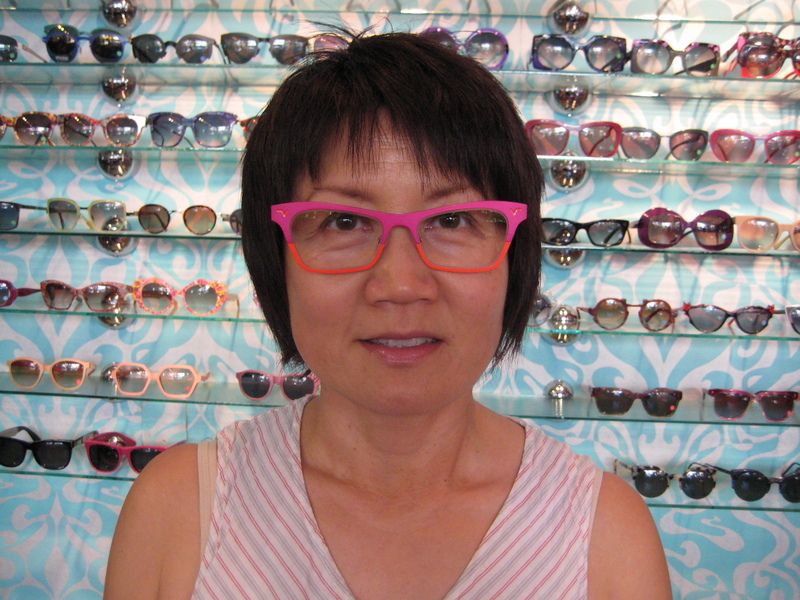 Lillian is a HUGE fan of our Theo frames, and she’s just added a new one to her collection. These fuschia and orange Theo Huitante+Quatre are sure to get anyone’s attention. In fact, Lillian’s other Theo frames, from the Theo Eyewitness series, are what caught Adrienne’s eye on the set of “Divergent“, the YA book-turned-movie that just filmed here in Chicago. Our own Optical Chanteuse was cast in a featured role in the film and Lillian was part of the film’s makeup team! Adrienne noticed her frames on set and instantly knew she HAD to be an Eye Spy customer.